Hundreds worked here with their hands, building ships loaded with Shelburne dories for fishing, as well as schooners such as the Haligonian, sister ship to the famous Bluenose. From the 1820's to 1984, dozens of workshops, stores and wharves lined the bustling waterfront. Walk along the waterfront and see the building that housed the sawmill that cut the lumber, the sheds where the ships were assembled, the prominent Cox's Warehouse that supplied the shipbuilding boom. 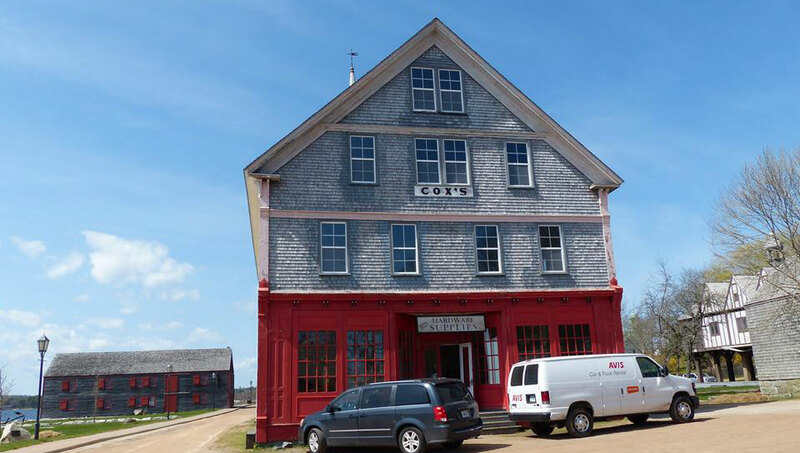 Cox's Warehouse, the Dorothy and Gail Building (now the Osprey Arts Centre)and the shipyard buildings have new lives with tenants like the SHYC Sailing School and the Shelburne Physiotherapy Clinic. There's even a gym where the Cox General Store once sold goods. At the other end of Dock Street, meet Nova Scotia's only female cooper at the Barrel Factory.